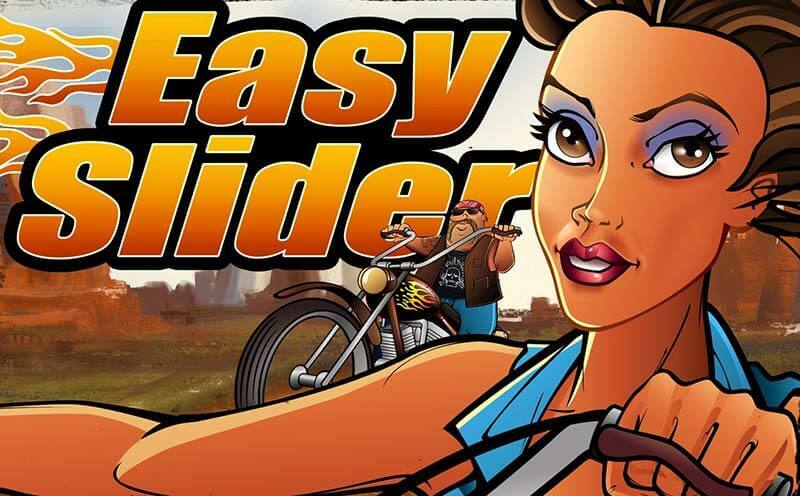 Easy Slider – The 5-reel biker slot by NextGen Gaming. If you are a fan of the cult biker film Easy Rider, you might want to check out NextGen’s Easy Slider online video slot game. This 5-reel action slot is all about bearded bikers, rock music and burning rubber on the open road. The backdrop to the slot is a view towering rock formations with a long stretch of highway zigzagging off into the distance. The reels themselves have been designed to resemble a large engine with exhaust pipes sticking out the bottom and flames licking the top of the reels. When the spin button is pressed, rocking electric guitar music accompanies the sounds of a motorcycle speeding away. Easy Slider is a 5-reel slot with a total of three rows and 25 paylines. In this game, players can set the coin denomination from 0.01 coins up to 10 coins per payline. The game also includes a number of bonus features in the form of a Wild symbol, a free spins bonus round and a Slid-a-Wild feature. On the reels, the highest paying symbol is the hairy biker himself followed by a biker helmet and a skull badge with sunglasses. The lower paying symbols include the classic playing card symbols from 9 to ace which can be used in various double combinations. The Wild symbol in Easy Slider is the Biker Babe. When she lands anywhere on the five reels, she can substitute for any of the other standard reel symbols in order to form a winning combination. The only symbols she cannot substitute for is the flaming wheel Scatter symbol. The Biker Babe Wild symbol also shares the honours of being the highest paying symbol of the game. Finding all five across the reels will pay out 500 coins on a single bet. The Scatter symbol in Easy Slider is the flaming motorcycle wheel. This symbol is the key to unlocking the free spins bonus round. To trigger the free spins round, players must land 3 or more flaming wheel Scatter symbols anywhere on the five reels. 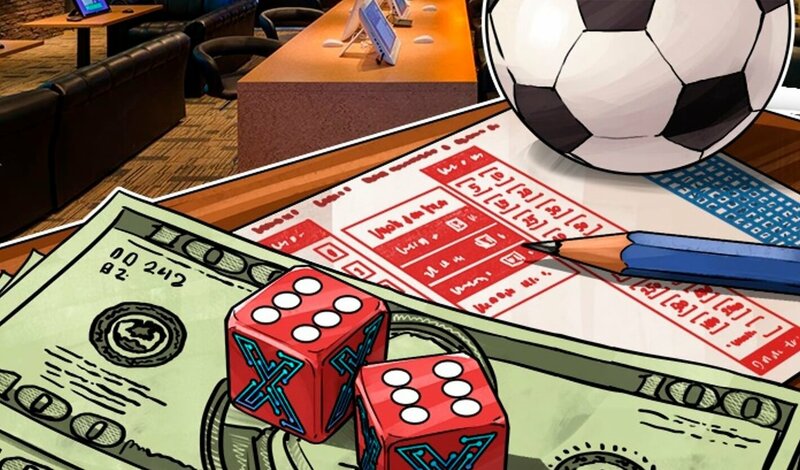 Once triggered, players will be rewarded with enhanced Wild symbol and double the payout on any standard win, making this one of the most exciting real money online pokies available to players these days. The main bonus feature in Easy Slider is the Slide-a-Wild feature. At the top of the reels, players will find a miniature version of the biker with arrows on either side of the bike. Players can click on the arrows to slide the bike above any one of the five reels. Once positioned over a reel, the Slide-a-Wild feature is activated on that particular reel. On reel one, the Wilds appear stacked with a 2x multiplier and 4x during free spins. On reel 2, the Slide-a-Wild appears stacked with a 3x multiplier and 6x during free spins. Reel 3 increases to 4x and 8x while reel five offers the maximum of a 6x multiplier with stacked Wild and a 12x multiplier during free spins. Easy slider also features a handy gamble feature where players can double or quadruple their win by correctly guessing the colour or suit of a playing card randomly drawn from a pack.